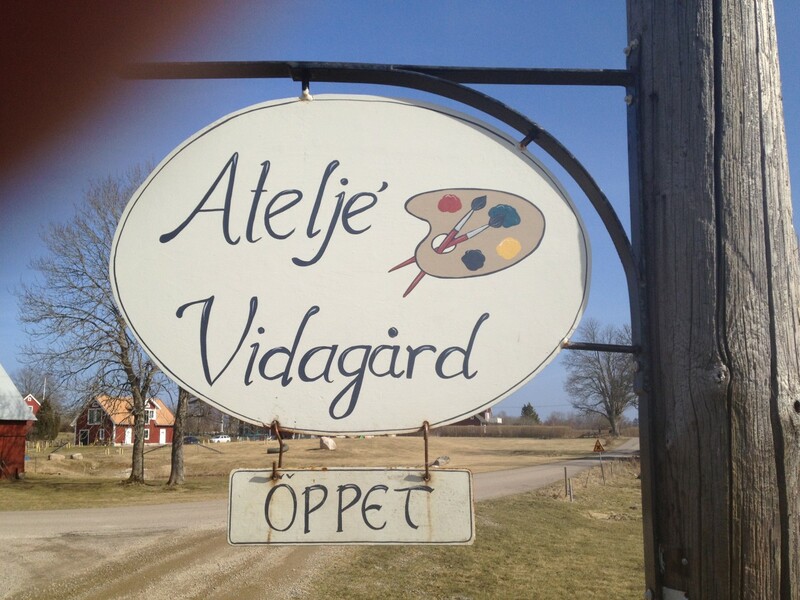 Ateljé Vidagård has become a household name in the business of painted children's furniture, interior decoration, furniture, terracotta, etc. We mix all our paints by hand, and all patterns and colours have been developed by our company. Most patterns are free-hand painted. 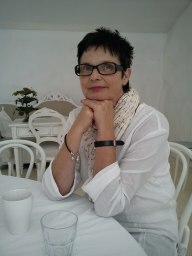 Ateljé Vidagård also paints furniture, ceramics and other interior decoration objects. We co-operate with other crafts producers in the area, who help us develop new products, e.g. Mattis Trä who make our wooden products. In 1994, we received Lessebo municipality's Business of the Year award. From Lessebo (Road 25), continue 9 km towards Ljuder and turn at the sign for Ateljé Vidagård. Turn left after the crossing in the village of Vida. You will find the shop behind the dwelling-house. Ateljé Vidagård is a unique shop, cafe and studio all in one, located in the countryside. There are fields and meadows all around us and forest nearby. 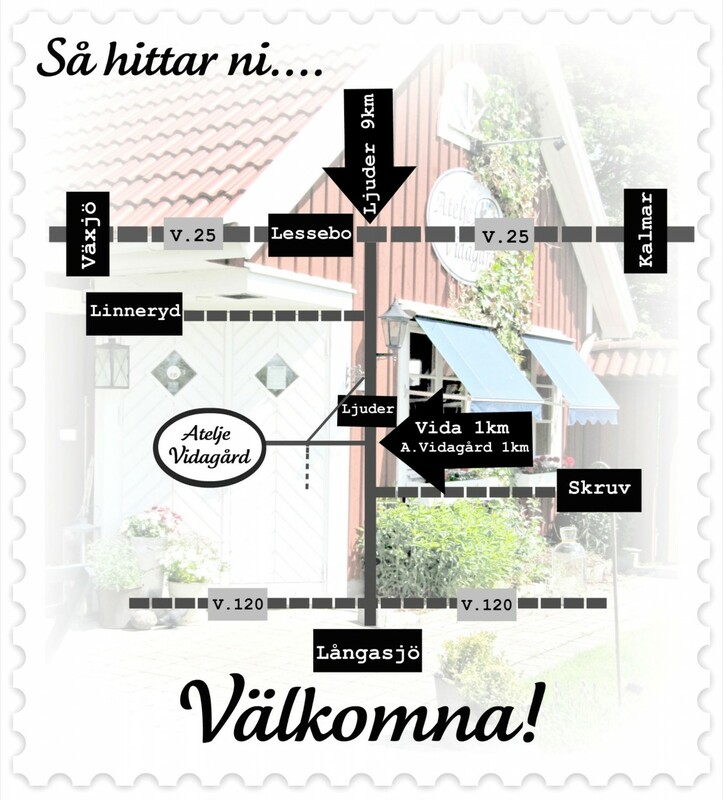 Vida is a beautiful village which resembles Bullerby in Astrid Lindgren's books. It is also a living village with many children. Our aim was create a wonderful and quiet oasis, which is as much an experience as it is a shop with desirable objects. The shop changes throughout the seasons and much effort goes into making it pleasant and attractive. Next door you will find the cosy cafe with its hand-painted tables and chairs. During the summer you can enjoy our lovely glass-enclosed veranda with homely geraniums in the windows.